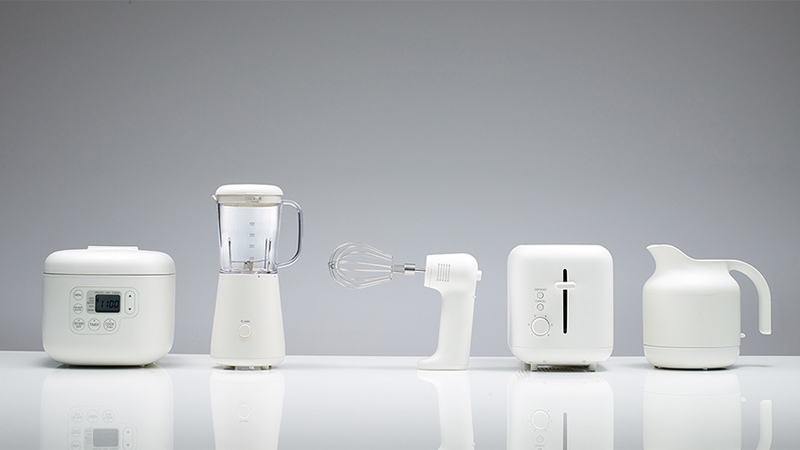 Part of his line of streamlined, efficient appliances designed for MUJI, Naoto Fukasawa’s compact white blender whips up smoothies, shakes, and soups for two (400 ml capacity) with ease. It features a locking lid, a sensor that detects if all parts are properly attached, and a grinder mill head and cup for chopping nuts or making homemade baby food. Made from white, BPA-free resin, it will harmonize with any array of appliances. For U.S.-use only as it is not advisable to use this product with an adapter. Fukasawa is a designer included in MoMA’s collection.